Some of you might have seen this at Lancome counters, this range is created to support “Golden Hat Foundation”, created by Kate Winslet, who has been a Lancome Ambassadress for 4 years. To mark the occasion, Lancôme has created this make-up collection in partnership with the actress. A little bit background of this non-profit foundation, where it aims to better the lives of autistic children by removing or limiting the barriers they face. Its mission is to teach autistic children how to communicate more clearly, as well as offer them education, job training, recreational activities adapted to their disability. In order to support Kate Winslet with this project, Lancôme has worked alongside her to create a limited edition make-up collection, which will be available this December. 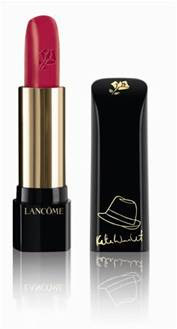 Lancôme promises to donate at least 150,000 euros of its sales profits to the “Golden Hat Foundation”. 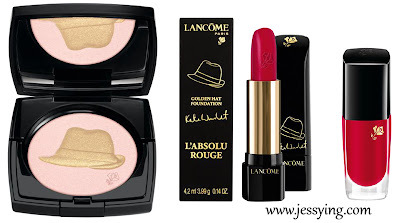 *The “Golden Hat Foundation” collection reinterprets the mythical L'Absolu Rouge lipstick, and includes several nail polishes in all-new shades, as well as a new multi-compact powder. 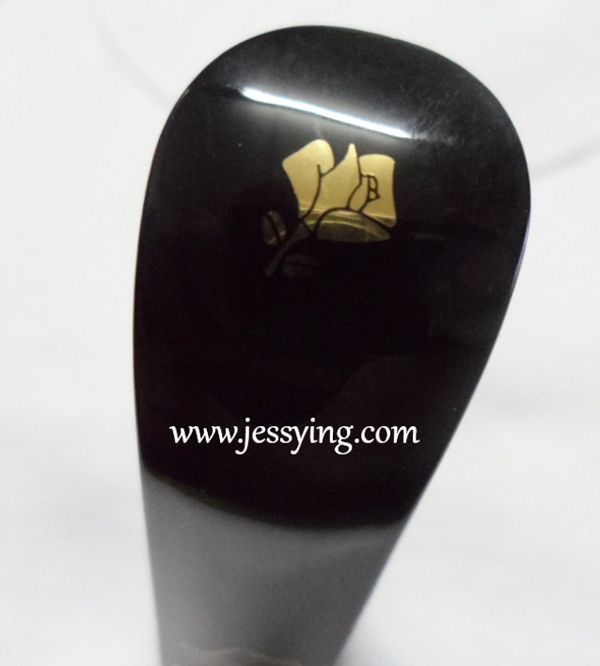 All these products are embossed with the foundation’s logo and the actress’ signature. 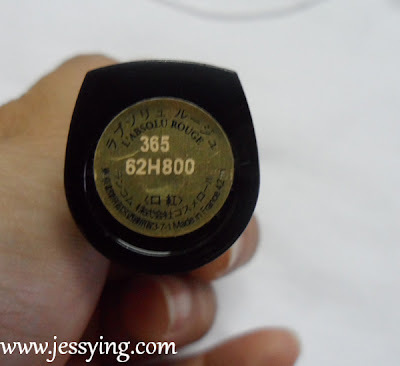 Well, I was lucky to be given this mythical L'Absolu Rouge lipstick for review by Lancome Malaysia!!! And best of all, all "Golden Hat Foundation" cosmetics will be embossed with the foundation's logo and the actress' signature! 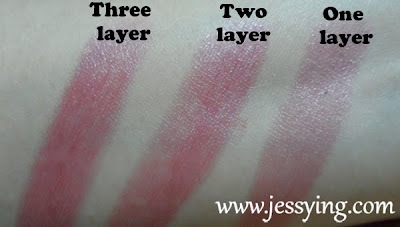 A close up picture of the pretty lipstick, the shade is not as red as seen in Lancome's website but this is a super pretty rose shade. 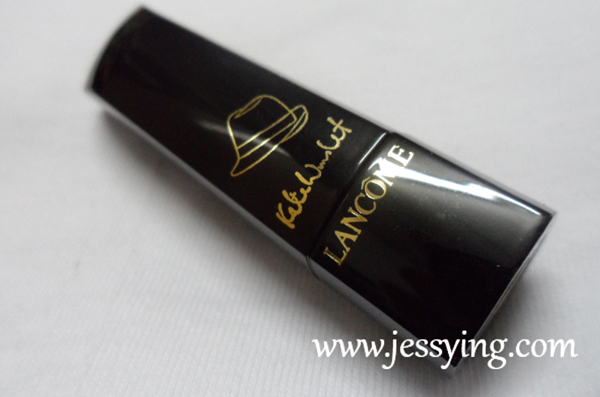 Are you thinking Lancome L' Absolu Rouge Lipstick in Rose Absolu shade is too red for you? Swatch of L' Absolu Rouge Lipstick No. 365 Rose Absolu on my hand. I don't really wear red shade lipstick but this Lancome's L' Absolu Rouge Lipstick in Rose Absolu is really pretty and wearable without me looking like a clown. Another plus point is that this lipstick is very moisturizing and I do not really need to use my lipbalm when using this lipstick! 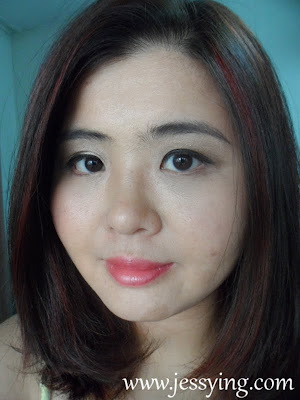 I love how this lipstick just brighten up my look! 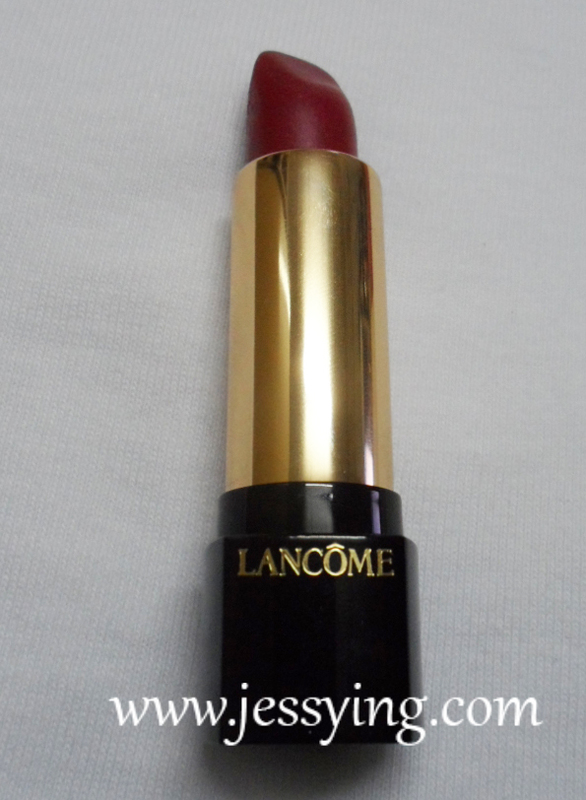 Lancome's L' Absolu Rouge Lipstick in Rose Absolu is quite longlasting , lasted me for some good hours before I need to apply it. 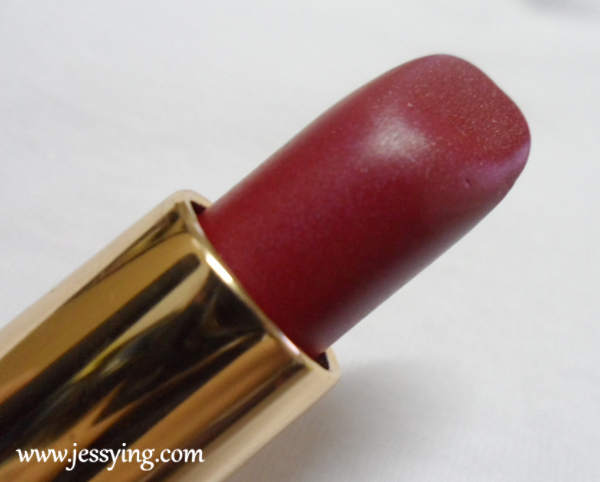 Do I need to tell you more how much I love this lipstick ? 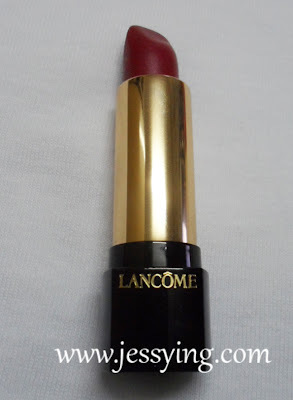 Price for this Lancome's L' Absolu Rouge Lipstick in Rose Absolu (No 365) is priced at RM80. Do check out Lancome Golden Hat Foundation collection as they are now available at all Lancome's counters nationwide. 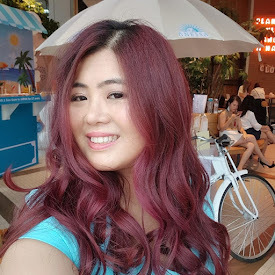 Off the topic: I'm very very much in love with ur latest haircut~ You looked so edgy with style! 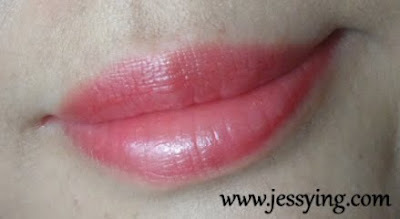 wow, the lipstick is so pretty on u.